Although the project has not been given the go-ahead by the studio, Variety is reporting that director David Fincher wants Brad Pitt to star in his would-be adaptation of Jules Verne’s 20,000 Leagues Under the Sea. Originally scripted by Scott J. Burns, 20,000 Leagues Under the Sea is based on the classic Jules Verne novel of underwater adventure with Captain Nemo and the crew of his submarine vessel, the Nautilus. Although Andrew Kevin Walker has since come aboard to provide a rewrite, Burns, recently spoke with ComingSoon.net and dropped a few details about the tone of his screenplay. Disney has placed a three month hold on Fincher regarding the adaptation, meaning they should decide soon whether or not it will be moving forward. 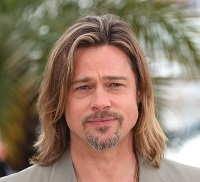 Pitt, who next appears in Killing Them Softly, would play Ned Lands, a harpoonist aboard the Nautilus.